Friday, January 17 – 8:00 a.m. – 6:00 p.m.
Saturday, January 18, 1:00 p.m. – 5:00 p.m.
Sunday, January 19, 1:00 p.m. – 5:00 p.m.
Monday, January 20, 1:00 p.m. – 2:00 a.m. Welcome back Falcons! University Libraries is excited to offer extended hours (until 2:00 am Sunday-Thursday). Circulation services as well as access to our laptops, headphones, and reserve materials will be available as usual. The first floor of the Wm. T. Jerome Library along with the ITS labs will remain open until 2:00 am. Library patrons will not have access to the special collections or to services within the Learning Commons after midnight. The Wm. T. Jerome Library offers more than 200 computers, quiet study space throughout the building, and many group study locations. For more information about our hours, visit http://ul2.bgsu.edu/hours. Bowling Green State University will be closed Wednesday, January 8 due to weather related conditions. University Libraies will also be closed at this time. Bowling Green State University will be closed Tuesday, January 7 due to weather related conditions. University Libraries will also remain closed. Are you looking for some fun Halloween reading? 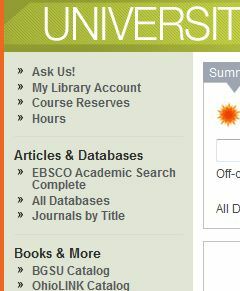 For even more spooky reads, go to the OhioLINK catalog and search for Halloween! Extended Hours have been announced! The University Libraries is excited to offer extended hours (until 2:00 am Sunday-Thursday) beginning on Monday, October 14. Circulation services as well as access to our laptops, headphones, and reserve materials will be available as usual. The first floor of the Wm. T. Jerome Library along with the ITS labs will remain open until 2:00 am. Library patrons will not have access to the special collections or to services within the Learning Commons after midnight. The Wm. T. Jerome Library offers more than 200 computers, quiet study space throughout the building, and many group study locations. For more information about our hours, visit http://ul2.bgsu.edu/hours. Looking for Information on Safe Rooms? How does Jerome Library love you? Let us count the ways! 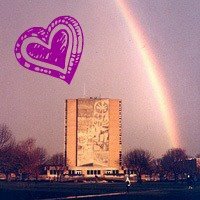 Show University Libraries some love this Valentine’s Day and come see what we have to offer! As you may know, February is Black History Month and we are shining a spotlight on African American fashion designers and models! What better way to celebrate and pay tribute than by using library resources? The Vogue Archive is one of the many database to which you can get access through the University Libraries Home Page. In it are all of the issues of the popular fashion magazine, Vogue. The archive covers from 1892 when the magazine was created to the current issue. With the Vogue Archives, you can search by photographer, model, designer, company/brand, feature type, etc. 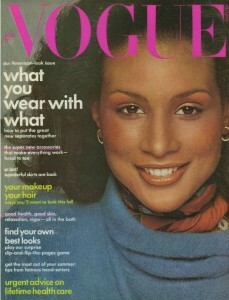 Another famous name in fashion is Beverly Johnson. 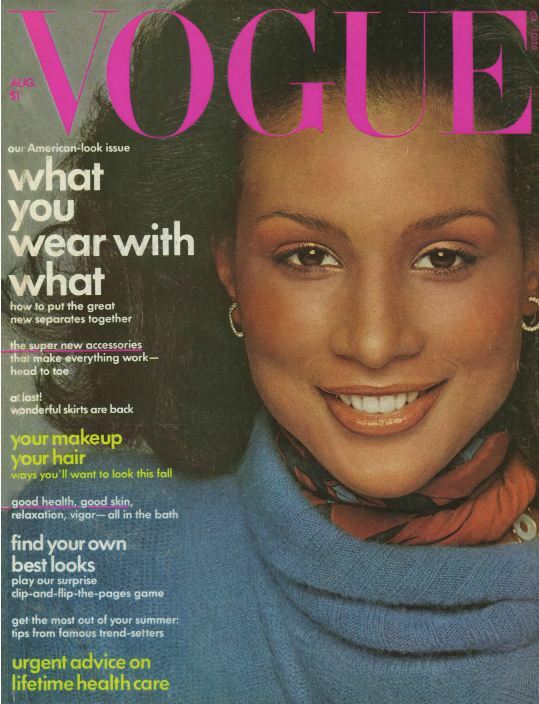 She made history in 1974 when she was the first black woman to appear on the cover of Vogue. Tyra Banks is one of the most recognizable supermodels today, and she has been photographed for Vogue numerous times. This February, take the time to reflect on how far America has come! Remember that beauty comes in every color and size. 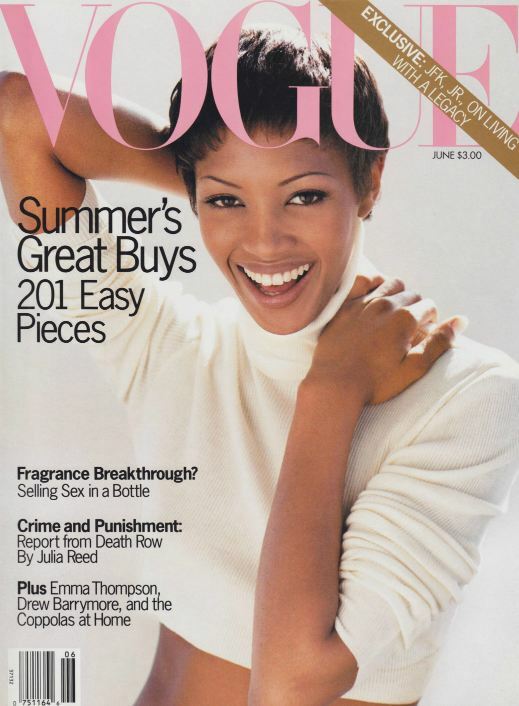 Also, don’t forget to check out the Vogue Archive database, available through BGSU. To access the Vogue Archive, go to the BGSU Libraries Home Page, and click on “All Databases” on the left side of the page. Then click on “V” under “Databases A-Z” and scroll down to Vogue Archive. Click “Connect” and you’re ready to explore!